Fumio Matsumura, 78, a distinguished professor of environmental toxicology and entomology at the University of California, Davis, and internationally known as “one of the grand masters of insect toxicology,” died Thursday, Dec. 6 in a Sacramento hospital following a brief illness. He had been hospitalized with pneumonia and developed acute respiratory distress syndrome (ARDS), his family said. Dr. Matsumura, a member of the UC Davis faculty since 1987, was a former director of the Center for Environmental Health Sciences, editor-in-chief of the journal, Pesticide Biochemistry and Physiology, and wrote the classic textbook, Toxicology of Insecticides, first published in 1975 and used by generations of college students throughout the world, including in UC Davis classes. 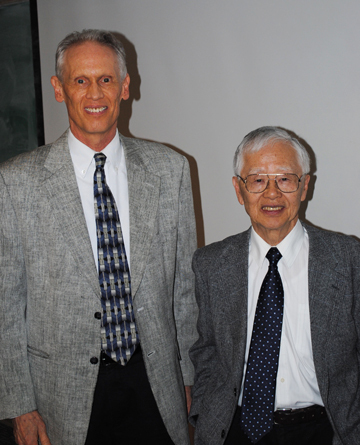 Born Feb. 5, 1934 in Fukui, Japan, Professor Matsumura received his bachelor’s degree in agricultural biology in 1957 from the University of Tokyo; his master’s degree in entomology in 1959 from the University of Alberta; and his doctorate in entomology from the University of Western Ontario in 1961. His research involved the environmental toxicology of pesticides and dioxin-type chemicals; toxicology of pollutants; microbial degradation of toxicants; insect toxicology; and extensive studies of biologically active substances, oncogenes, and protein kinases. He did postdoctoral work at the University of Wageningen, Netherlands, and Cornell University. In 1964 he joined the Department of Entomology at the University of Wisconsin, Madison. Then in 1977 he was appointed director of the Pesticide Research Center at Michigan State University. The professor joined the UC Davis faculty in 1987 as associate director of the Toxic Substances Program and later served as director of the Center for Environmental Sciences. He chaired the Department of Environmental Toxicology from 1996 to 1998. "Fumio and I owned a ski cabin in the Sierras, in Alpine Meadows, for the past 10 plus years," Seiber said. "We shared a lot of experiences there, including bear break-ins and skiing and fishing tips." Professor Matsumura served as director of the NIEHS-funded Center for Environmental Health Sciences and the Environment program, a project first established in 1992 at UC Davis. It involved more than 40 faculty, staff, and student colleagues in 13 UC Davis departments. His own research supported by the Center grant included mechanisms of action of Tetrachlorodibenzodioxin (TCDD), mechanism of estrogenicity of DDT analogs, fungal metabolism of pentachlorophenol (PCP) in agricultural soils, and an epidemiological approach to the study of the health effects of dioxins among Vietnam War veterans. Professor Matsumura also served as director of the NIEHS-funded training grant in Environmental Toxicology which supports graduate students in many departments at UC Davis in the College of Agricultural and Environmental Sciences, School of Medicine, and School of Veterinary Medicine. His many activities included serving as director of the IR-4 Leader Laboratory and member of the IR-4 national Technical Committee, an activity that began while he directed the Pesticide Research Center at Michigan State University and the National IR-4 program was being initiated. He was a member of the American Chemical Society, and an active member of the Society of Toxicology, and Society for Environmental Toxicology and Chemistry. He lectured worldwide, including at international conferences and congresses, and was a member of numerous international scientific committees. He received the International Award for Research in Agrochemicals from the American Chemical Society. 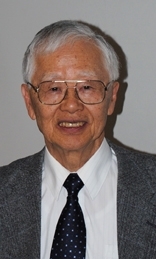 Professor Matsumura was an active member of the Graduate Groups in Pharmacology and Toxicology and Agricultural and Environmental Chemistry at UC Davis, and chaired the Department of Environmental Toxicology from 1996-1998. He regularly taught two graduate level courses, on environmental toxicants and ecotoxicology, organized seminars in environmental toxicology and entomology, and mentored dozens of graduate and undergraduate students and postdoctoral fellows. He and his students and colleagues authored more than 400 books, book chapters, and scientific journal manuscripts. Among his awards and honors: World University Service (WUS/UNESCO) Scholar (1957); National Research Council Scholar (1960-61); Distinguished Scientist Award (College of Natural Sciences, Michigan State University Alumni Association, 1983); Burdick and Jackson International Award (American Chemical Society, Agrochemical Division, 1987); Founders Award (Society for Environmental Toxicology and Chemistry, 1988); Scientific Counselor, National Toxicology Program; Eminent Scientist Award (Riken Institute, Japan, 1995); Lifetime Achievement Recognition Award by the Society of Pesticide Science, 1995; Mochizuki Prize for Chemical Safety Research, 1995; USEPA FIFRA Scientific Advisory Panel (Environmental Protection Agency/Federal Insecticide, Fungicide and Rodenticide Act) (1998-2003); and Distinguished Professor Designation by UC Davis, 2003. 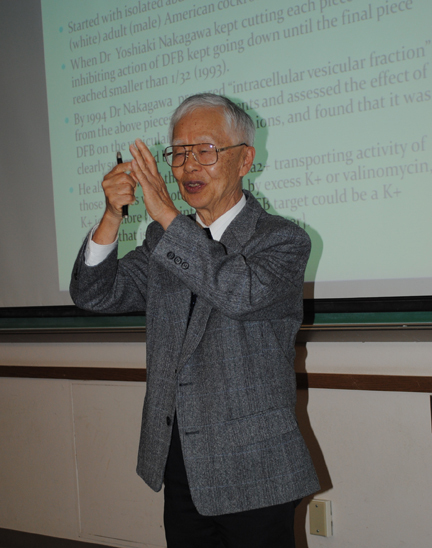 Before his hospitalization, Professor Matsumura had been working on breast cancer research “and he vowed that he would not retire until he’d made substantial progress,” said Washino, an emeritus professor of entomology. He and his wife, Connie, are longtime friends of the Matsumaras. Dr. Matsumura's wife, Teruko, related that Fumio loved skiing and was quite proficient at it. "Olympic officials held a collegiate ski meet in Squaw Valley prior to the 1960 winter games," she said. "Fumio was a collegiate skier at the University of Alberta, and competed as a jumper and slalom racer at that pre-Olympic event. Later, he was a postdoc in Europe when the Canadian Olympic ski team was touring the continent. The coach knew Fumio and invited him to ski with them during that tour." Seiber said the American Chemical Society was planning to celebrate his 80th birthday at its national meeting in San Francisco in 2014, which also coincides with the Pesticide Chemistry Congress to be convened by the International Union of Pure and Applied Chemistry (IUPAC). "Fumio will be greatly missed by the international community of researchers who will gather at the 2014 IUPAC Congress," Seiber said. Dr. Matsumura, the son of the late Taga Oki and Takashi Matsumura of Japan, is survived by his wife, Teruko (Akashi), of Davis, whom he married in 1965; and two sons, Ichiro of Decatur, Ga., an associate professor of biochemistry at Emory University, Atlanta, Ga.; and Miko of San Jose, a software specialist with Java Corp. Miko and his wife, Elisabeth "Lis" (Jorgens) have a son, Jackson, 7. He is also survived by his older brother Takatoshi and younger sister, Yasue, of Japan. He was preceded in death by his younger brother, Yasuo. The funeral service will be private. The family has established a memorial fund in his honor through the UC Davis Foundation. Gifts to the fund should be made payable to UC Davis Foundation with “Fumio Matsumura Annual Symposium Endowment” noted in the memo line. The Departments of Environmental Toxicology and Entomology will hold a public memorial service from 2 to 3 p.m., Friday, Jan. 25 in the UC Davis Conference Center, Ballrooms A, B, and C. A reception will follow. The family has established a memorial website at fumiomatsumura.com.